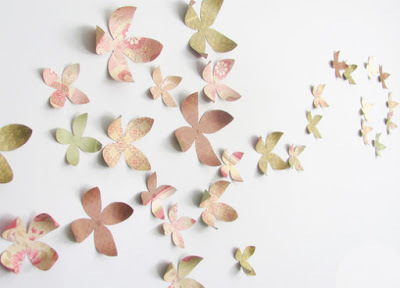 Use paper of different types or thickness (cards, bond paper, cardboard, etc.) 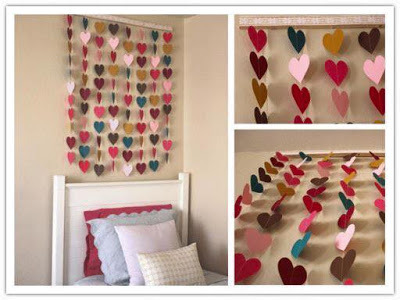 to make beautiful decorations in the form of pictures or paste directly on a wall. 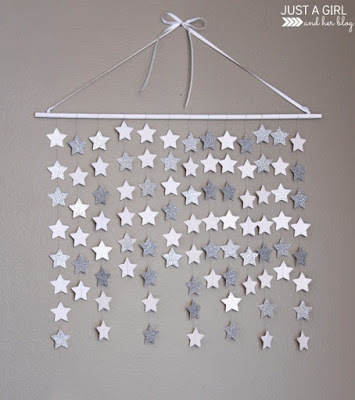 Create these beautiful pendants made with cardboard boxes in two colors. 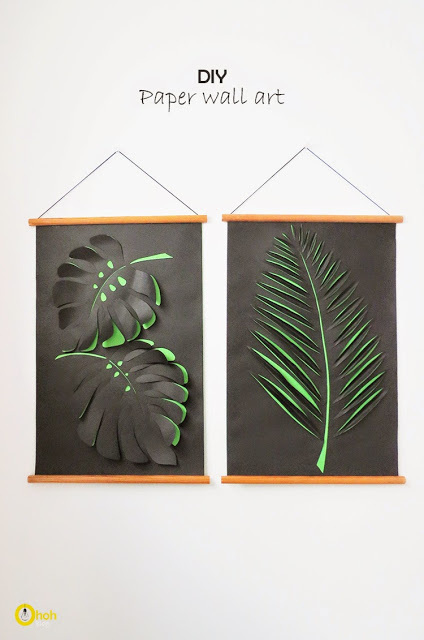 Reuse leaves journals (choose those with colors to match your decor), cut into triangles and glue on a surface of cardboard or wood, previously painted white. 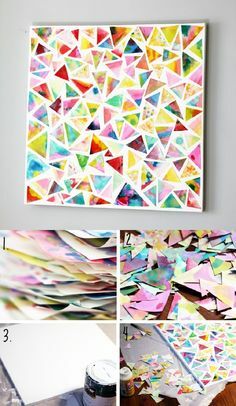 Do not hit all the triangles together, but go leaving spaces between pieces to the white lines may appear. 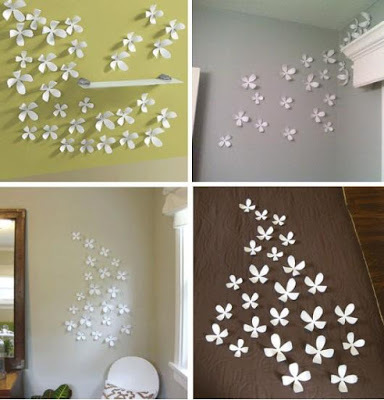 Cut flowers cardboard or paper (plain or printed in color), fold the petals inward and paste in the middle of the wall you want to decorate, using tape or double-sided tape. 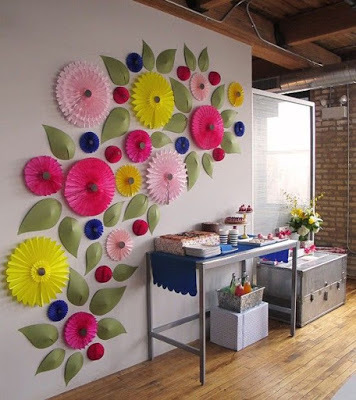 Make flowers fan or accordion type using a type of thin paper such as tissue or tissue (tissue paper) Use this style mainly to decorate parties or events.